School and work are going great. You have lots of friends and loving family. One thing is missing from your life, and that’s a guy. Finding a BOYFRIEND can be challenging, but also lots of fun. Many girls struggle to find a guy that’s right for them. He has to be handsome and have a great personality, but how do you find him? Finding a boyfriend, especially the perfect one, is like looking for a needle in a bundle of hay. It’s not easy. Although there are so many fish in the sea, you’ll never know when and where to find the best catch. But let me help you with this matter. By following this simple “find-your-boyfriend” guide, you can find a boyfriend in no time. When looking for that perfect guy, know what you like. Don’t make a laundry list of specific traits, but do decide on a couple important aspects that your guy needs to have to be compatible with you. Deciding what’s important in your life, and finding a guy who can jive with that will make your relationship last longer and be more successful. To find a guy, you’ve got to leave your house. It seems simple enough, but a lot of people will want love without actually going out and looking for it. Dance clubs and activity gatherings are great ways to meet guys. If you are super shy, you can try online dating, but there are some real creepos online. Getting an outgoing friend to introduce you will be more successful that going on the internet. The more friends you hang out with, the more chances you have for meeting a cute guy. Put the word out. Let your friends, especially your guy friends, know that you are looking for a boyfriend. You never know who might introduce you to the perfect guy. I a friend sets you up on a blind date, you might as well go because it’s a free meal. Once you’ve found someone you like, dress up a bit. Show him what you’ve got to offer, and don’t be afraid to strike up a conversation. An easy way to start a conversation is to comment on something you find about his appearance. For example, you can ask him if he plays sports if he is wearing expensive looking basketball shoes. If he’s wearing a band t-shirt, you can ask him if he went to a concert of their’s recently. Another easy way to start talking to a boy is to ask about homework. If nothing else, talk about the weather. Getting him to talk to you is the first step on getting him to ask you out on a date. You should know how to talk to a guy you like. Once you’ve started talking to a boy, you have to let him know that you are interested in him. Find excuses to touch his arm or give him compliments. A great excuse to get a guy’s phone number or to hang outside of class is to make a study group. Tell him you want to be able to contact someone if you ever miss class. Now that you have his phone number, you can start flirting with him over text. Don’t come on too strong or text him too much. Sending even casual love quotes for him is a no-no too. But you can send some sweet flirty text messages. If you got his phone number using one of the tricks above, ask him a question about the homework in about a week. This will keep you on his mind, and he will be more likely to ask you out. Be patient. Guys sometimes take a long time to get the hint, and ask you out. Just try to make it clear you like him, and then wait for his response. Clear communication with a potential boyfriend is very important. If he can’t tell that you like him, then he will never think about asking you out. Flirting is an important way to let him know you like him, but being direct can work to your advantage. If he’s not getting the message from your flirting, take him aside and explain that you like him. Be confident, and try not to raise your voice and get nervous. Although tempting, don’t bring your gal pal gang when telling him how you feel. He will feel overwhelmed and not be able to concentrate on what you are saying. Waiting for a boy to ask you out is one of the hardest parts of being a girl. Girls are supposed to just wait back for the man to make his move. 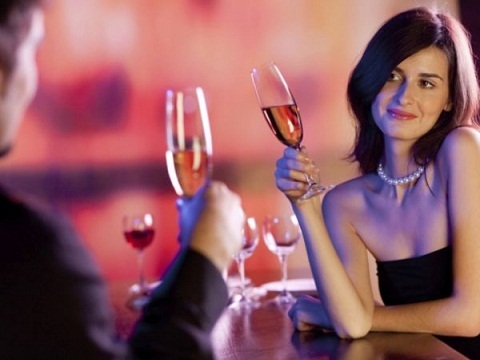 Sometimes asking the guy out will show him how interested you are and can be really flattering for a guy. Guys hardly ever get asked out so it will make you stand out from anyone else that he might be interested in. Be patient, just like you are nervous about asking him out, he would be nervous about asking you out as well. If he never makes his move, try to move on. There are plenty fish in the sea. Don’t obsess about finding a boyfriend. Getting in a relationship is a big commitment, and you want to make the right choice. Being patient will get you a great guy, and an even greater boyfriend. The longer you stay in your relationships, the less time you will spend searching for one.